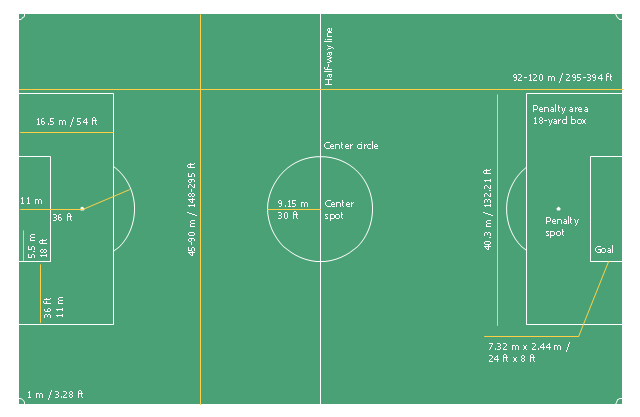 The sport field plan sample "Football pitch metric" was created using the ConceptDraw PRO diagramming and vector drawing software extended with the Sport Field Plans solution from the Building Plans area of ConceptDraw Solution Park. 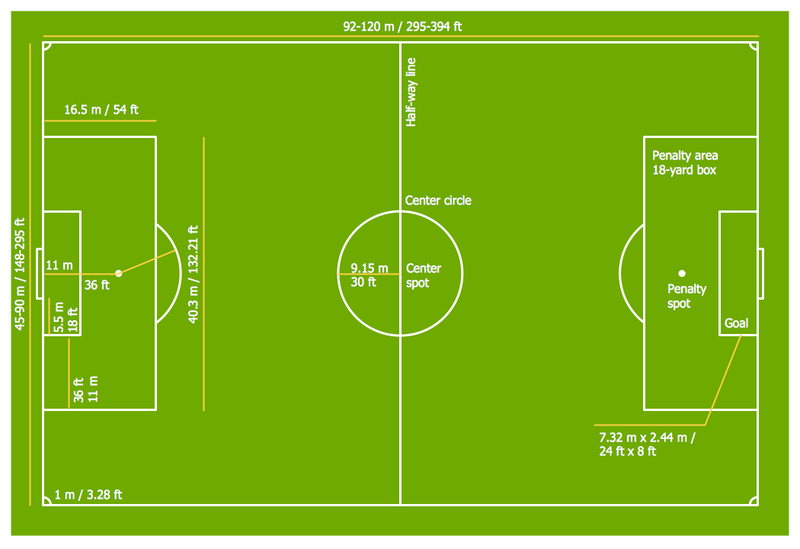 All line markings on the pitch form part of the area which they define. 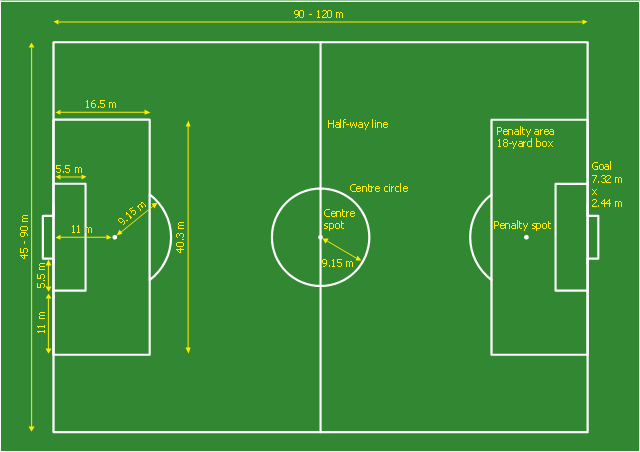 For example, a ball on or above the touchline is still on the field of play; a ball on the line of the goal area is in the goal area; and a foul committed over the 16.5-metre (18-yard) line has occurred in the penalty area. 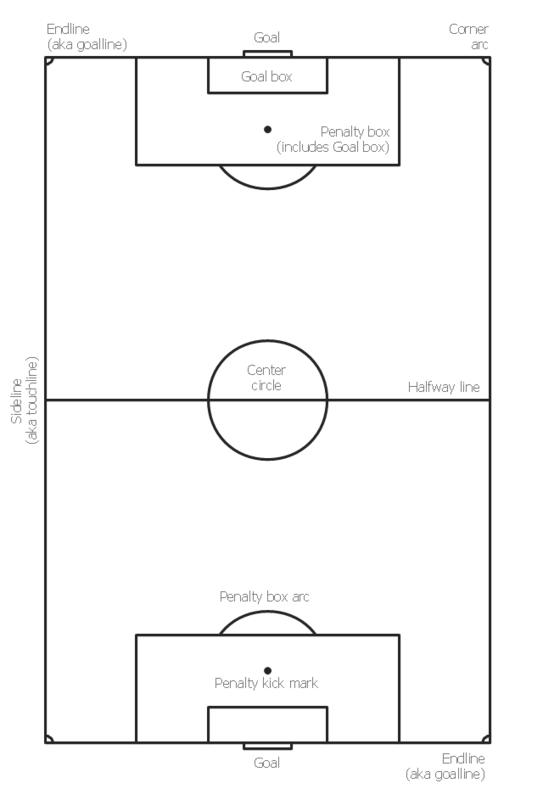 Therefore a ball must completely cross the touchline to be out of play, and a ball must wholly cross the goal line (between the goal posts) before a goal is scored; if any part of the ball is still on or above the line, the ball is still in play. The template "Vertical association football pitch" for the ConceptDraw PRO diagramming and vector drawing software is included in the Soccer solution from the Sport area of ConceptDraw Solution Park. For the first time, a balance between attacking and defending was reached. 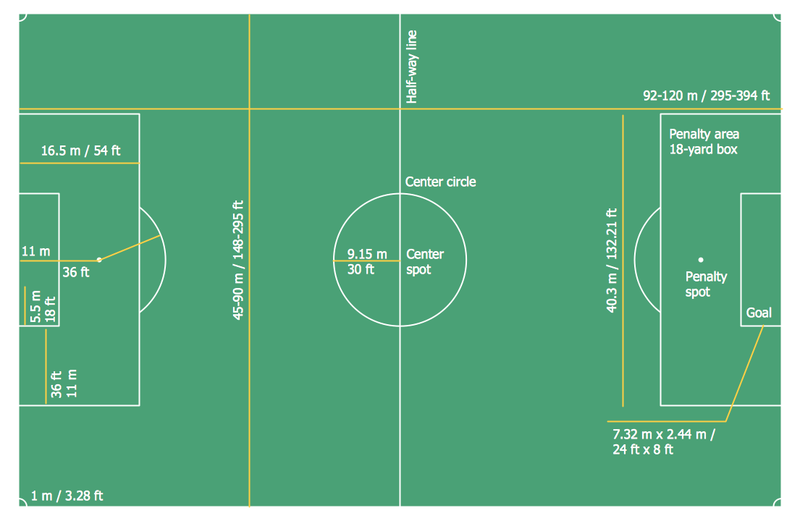 When defending, the two defenders (fullbacks), would watch out for the opponent's wingers (the outside players in the attacking line), while the midfielders (halfbacks) would watch for the other three forwards. 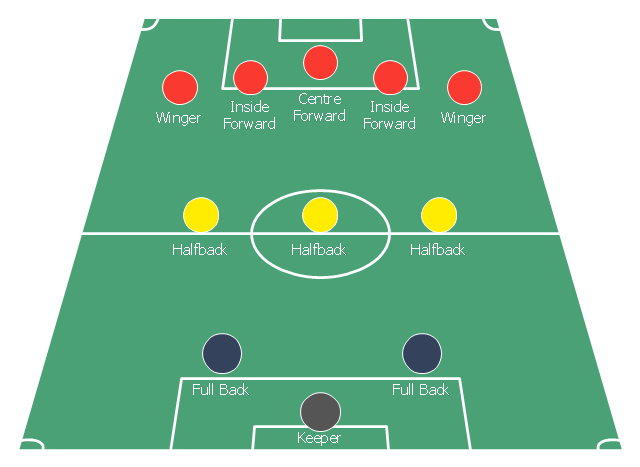 The centre halfback had a key role in both helping to organise the team's attack and marking the opponent's centre forward, supposedly one of their most dangerous players. 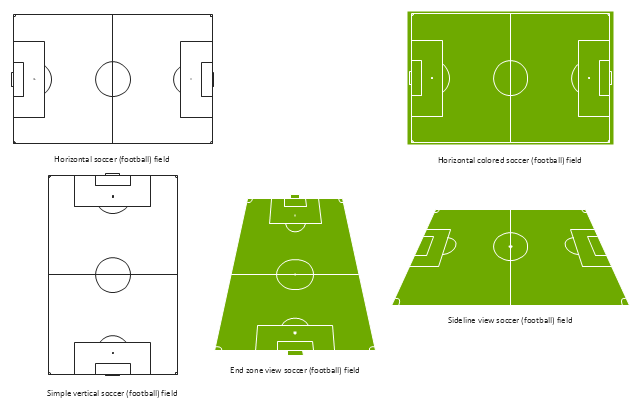 The diagram example "Association football (soccer) formation 2–3–5 (pyramid)" was created using the ConceptDraw PRO diagramming and vector drawing software extended with the Football solution from the Sport area of ConceptDraw Solution Park.